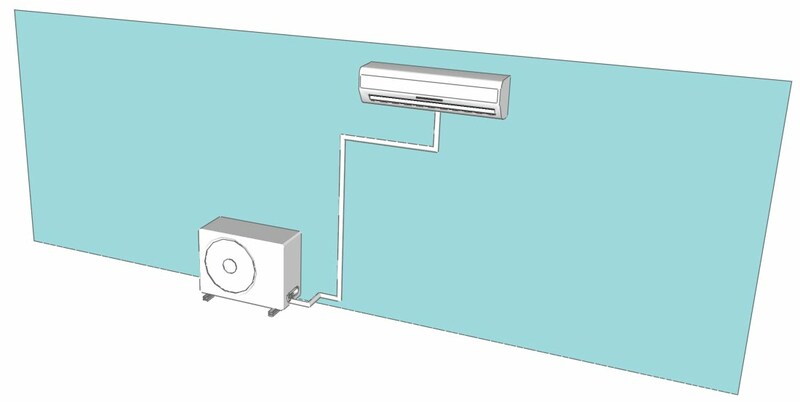 Single external unit feeding a single internal unit. Can be set to either heating or cooling mode. Single external unit feeding more than one internal until. All internal units have to be in same mode of either heating or cooling. For bigger system where a larger capacity is required. Multiple external units feeding multiple internal units. 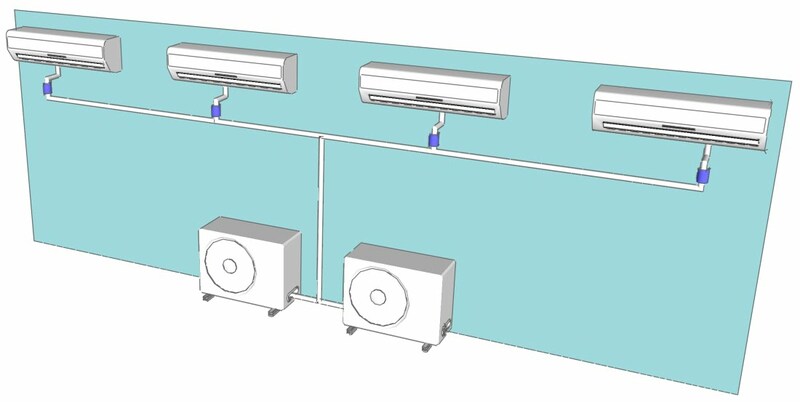 Each internal unit has a separate valve controller that enables the units to be independently set to either heating and cooling.